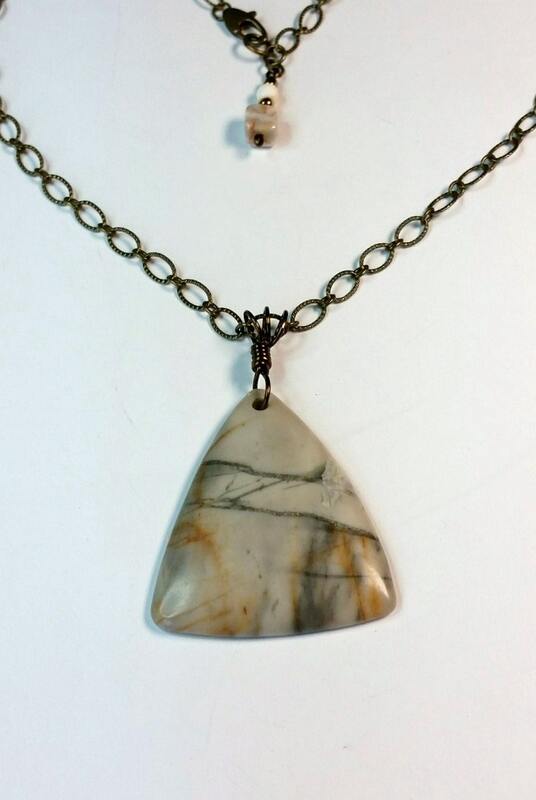 Picture Jasper is said to be both a protective and nurturing stone to wear. 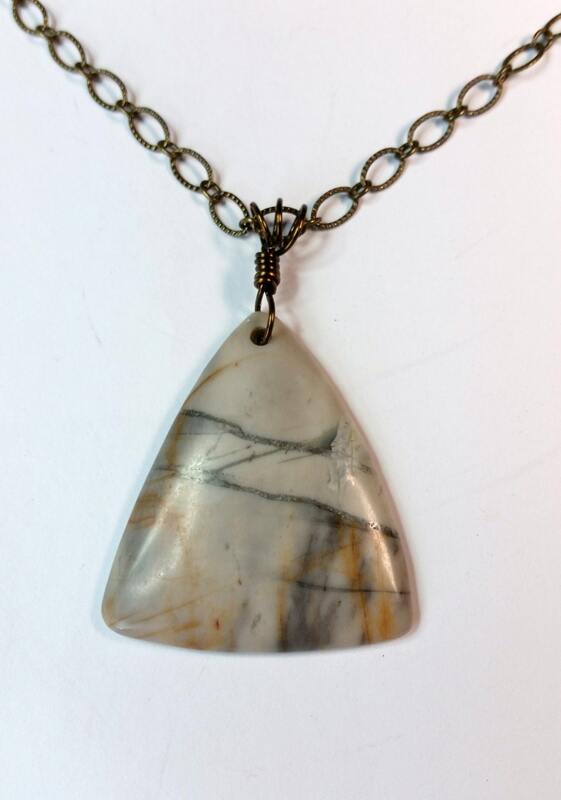 This triangular Picasso picture jasper resembles a Japanese brush painting! That is what attracted me to work with this focal! 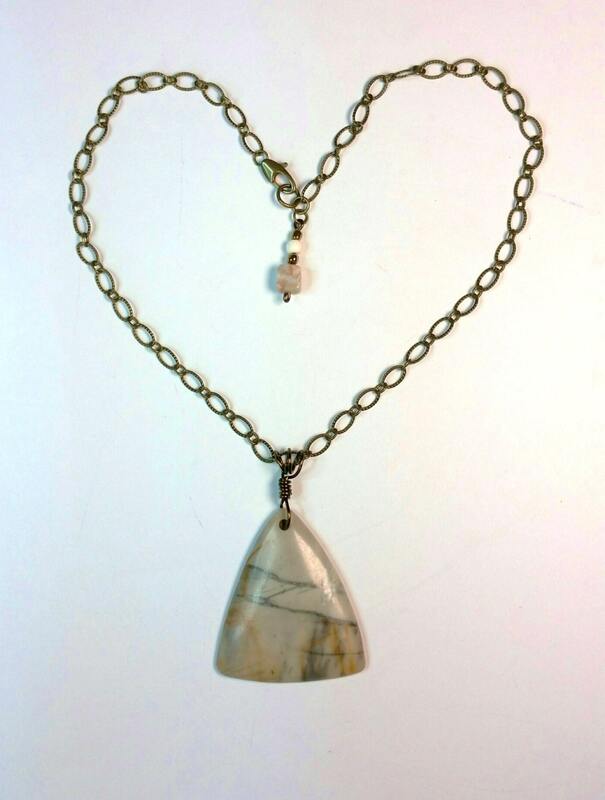 I hand-made the antique bronze brass bail and selected the type of chain on which it would look best - an etched oval link antique brass chain of approx 19 inches in length (48.26 cm). It attaches with a lobster style spring clasp. 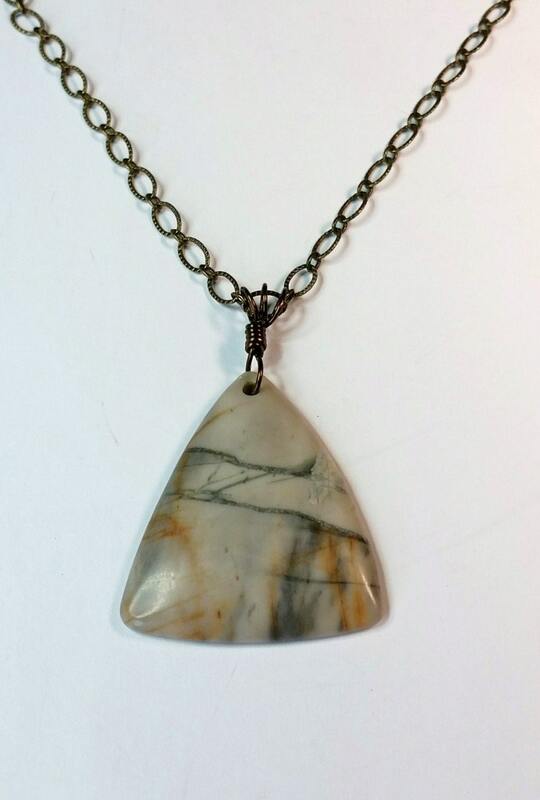 The jasper focal is approx 50 mm tall and the triangle base is approx 42 mm across. 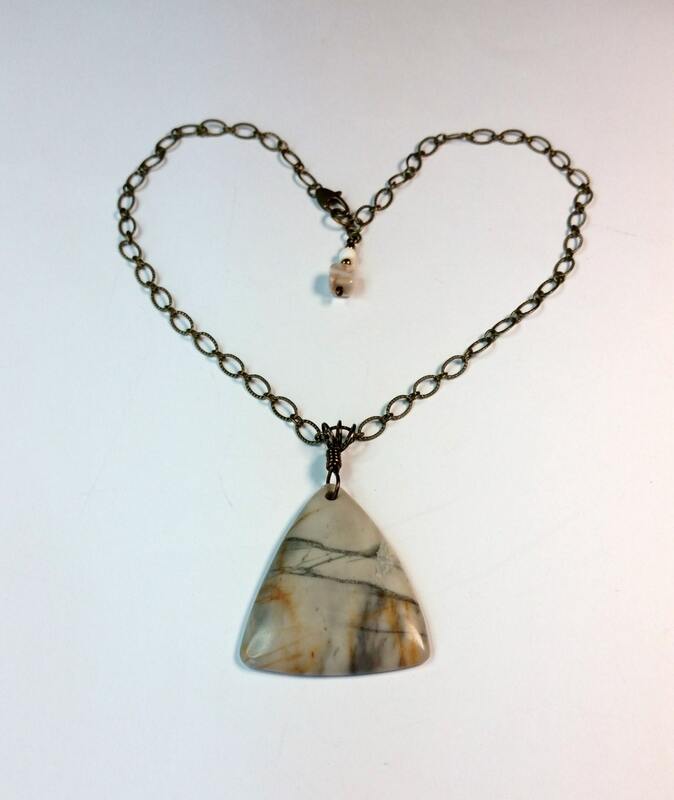 This jasper piece has a bone toned neutral background with striations of charcoal and shades of rusty orange.